A few of us decided to grab some of the industry leading surfers and give you a little inside look and share our thoughts. 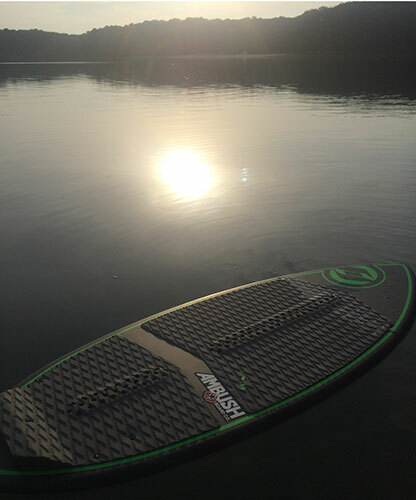 Our main goal is obvious…we just want to ride behind our Nautique Boats G21 w/ NSS as much as humanly possible every week. We loaded the boat full of boards from Hyperlite, Slingshot, Ronix, Liquid Force, Byerly, and Inland Surfer. We even have a little sneak peak with a 2016 Slingshot that you’re sure to love! *** Videos require buffering so just press play…wait till it’s fully buffered then press play again. The Ambush family strives to build and cultivate the local community and give people an opportunity to do what they love. 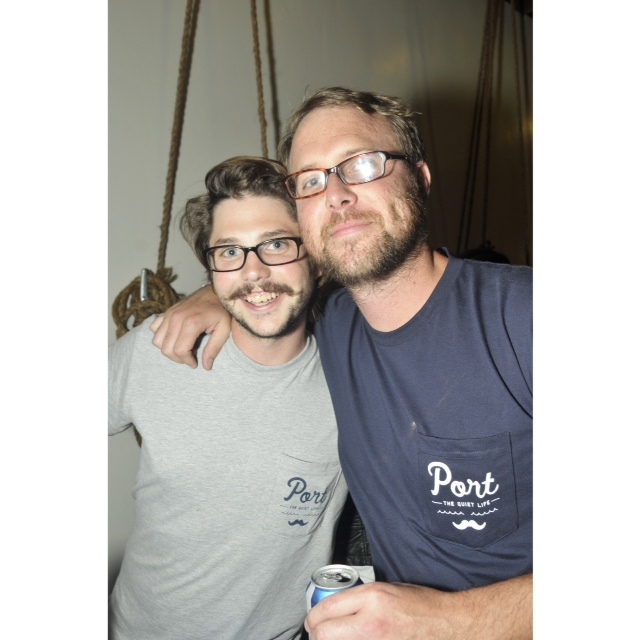 As stated in the previous Ambush Alumni post with Ryan Dearth, we have been so lucky to have such an amazing group of people come through our doors and work with us. Allow us to introduce another one of them to you! 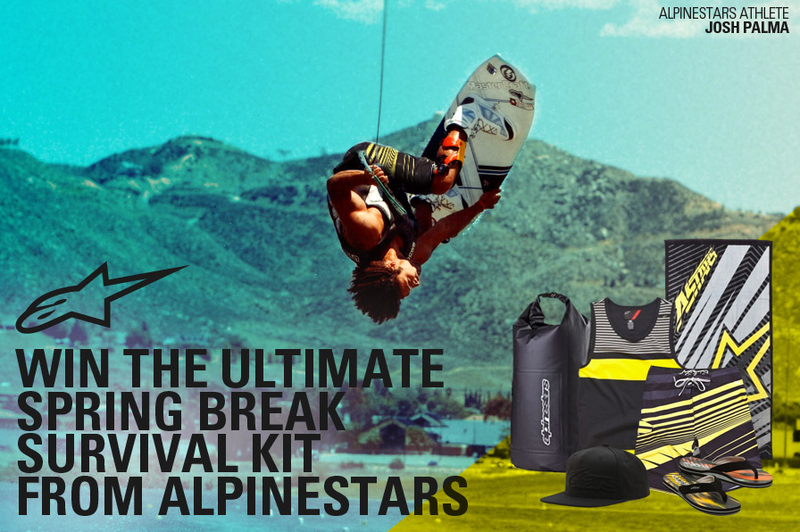 Win the ultimate Spring Break prize pack courtesy of Alpinestars and the Atlanta wakeboard shop, Ambush Boarding Co. If you can’t load and release like Palma just yet well… at least you can look like him. May the odds be ever in your favor. You’ve never seen a board like the Space Pickle. An all new ultra-wide thumb tail design that’s sure to take your wave riding to the next level. Check out the Space Pickle in action behind the boat. If you’re looking for a low impact, fun way to work your lower and upper body…then look no further. Action sports themed blockbusters have become a staple in Hollywood. Over the past twenty years, feature films like Point Break and Blue Crush have given audiences an inside glimpse into the world of surfing. Well, at least how Hollywood portrays it anyway. Next in line is Chasing Mavericks, a movie based on the life of surfer Jay Moriarity and his quest to surf America’s most dangerous wave. The movie, due out October 26, features Hollywood heavyweights like Gerard Butler and Elisabeth Shue. 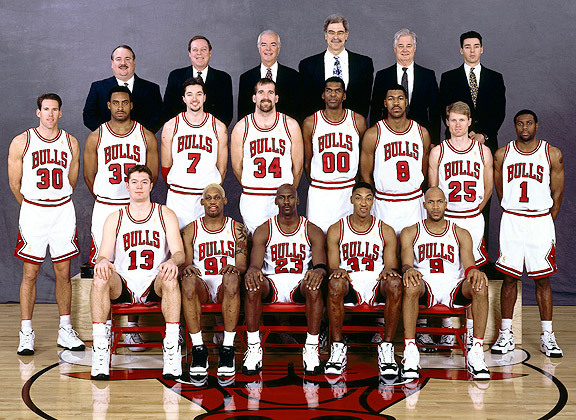 When Ambush opened in June of 1997, Bill Clinton was president, Ally McBeal and Dawson’s Creek were considered great television, Michael Jordan just won his fifth of six NBA championships, and Titanic won Best Picture. We all want to be innovators. We all want to make a difference in the world. We all want to invent the next thing, perform a new trick, advance a new style, or turn a head in our direction. We all want to push forward and be remembered. We all want to progress. The only thing is: being an innovator is extremely difficult. Mediocre people are always trying to convince you that you can’t. Jealous people will to tell you why you won’t. The masses will ridicule your ideas and say they will never work. But everything’s been done before. Wrong. A couple of my friends are leaving their respective Thanksgiving celebrations early to camp out at Best Buy for some ultra cheap TV. They are spending their turkey day not with family…but in a parking lot. Why? To save money. We are a little more sane here at Ambush. We are having a nice little Black Friday Sale where you can save a bunch of money. But…we won’t make you stand in line for hours and get trampled by the big box barbarians. This sale is for everyone and it lasts all day. How Old Are Your Heroes? Last updated by Rhett at January 19, 2016 .